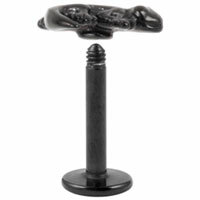 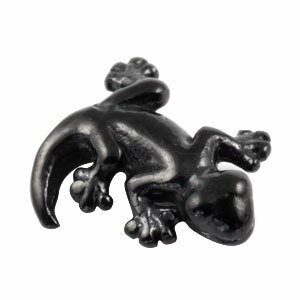 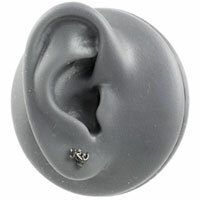 Black PVD coated 316L surgical steel labret with 7mm long screw-on gecko design. The flat back makes these particularly comfortable to sleep in. 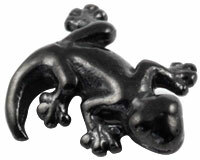 Very subtle, not very noticeable, however a lot of my friends don't think it looks much like a gecko.